Considerable production problems for fennel and high prices are expected in areas important for this crop: this is a summary of the current production and commercial trend. There is a difficult situation in Calabria. The climatic events recorded in October 2018 during the transplantation phase have delayed production. In some areas of Calabria, the product is struggling to grow and probably the crop will not be able to satisfy the demands. "In Calabria, - says a producer/trader - these problems could last throughout the month of February. In the meantime, in other Italian areas, the product is cut when it is not yet perfectly ripe in order to meet the demand. In some other areas in the South, like Puglia, they are also in difficulty. Therefore, the products are not enough". As a result, prices are already high, both in the field and in the markets. An operator from Calabria reports a shortage of goods ("we are not even at 30% of what would be needed") and problems with the size of the vegetable. "Due to the heavy rains last autumn, transplants were carried out late. Moreover, where it was possible to transplant, there was radical asphyxiation and therefore the plants were not able to acquire the nutrients necessary for their development. Subsequently, the low temperatures blocked the vegetation and the fennel was left behind. "The product that was to be harvested in January is slipping into February. To meet at least part of the demand, the farms cut the fennel in the field as soon as it has reached the minimum size sufficient for sale. Prices in the countryside are high: €0.70-0.80 raw". According to this operator, except for a few structured companies, fennel will be missing throughout February, at least in Calabria. 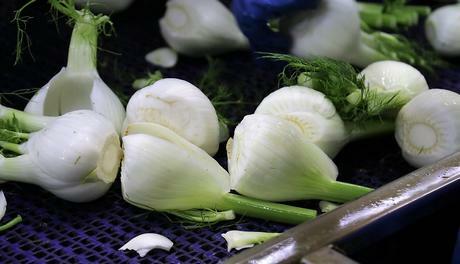 The scarcity of product is also confirmed by a processor, who also mentions the poor quality of fennel coming from certain areas. "Bearing in mind the quantity available (half of it), in proportion the quotations seem adequate and the demand normal".